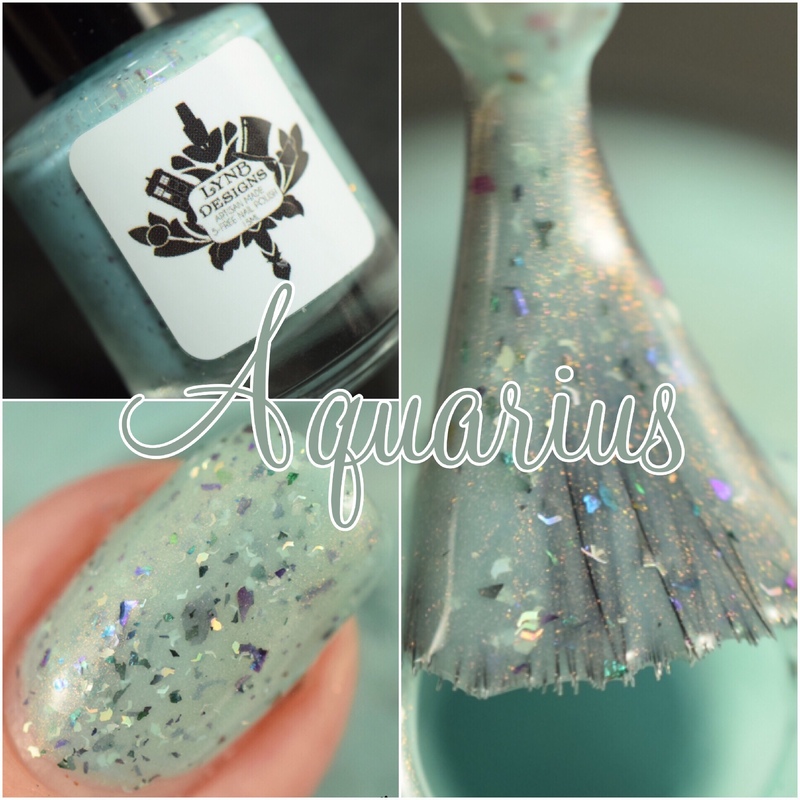 Aquarius is described as a teal/aqua crelly base with copper shimmer, micro holo shreds, and UCC flakies that shift from green to cyan to blue to purple to pink. In my swatches I’m wearing 3 thin coats with glossy top coat. This had a flawless formula and applied like butter! Aquarius will be available on Friday, February 8th. It will retail for $10. I know I sound like a broken record by now, Jenna is just killin’ it with these flakie crellies! They go on so smooth and each and every one is just awesome.